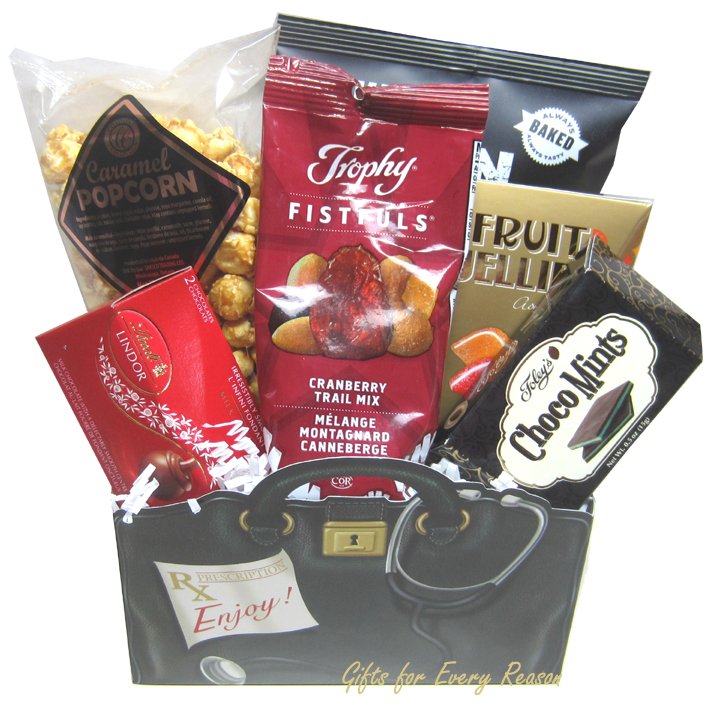 Just what the Doctor Ordered... A fun Doctors bag filled with lots of Comfort Foods. Approx Size: 8x 4x 12h"
A nice affordable gift perfectly sized for 1 person. 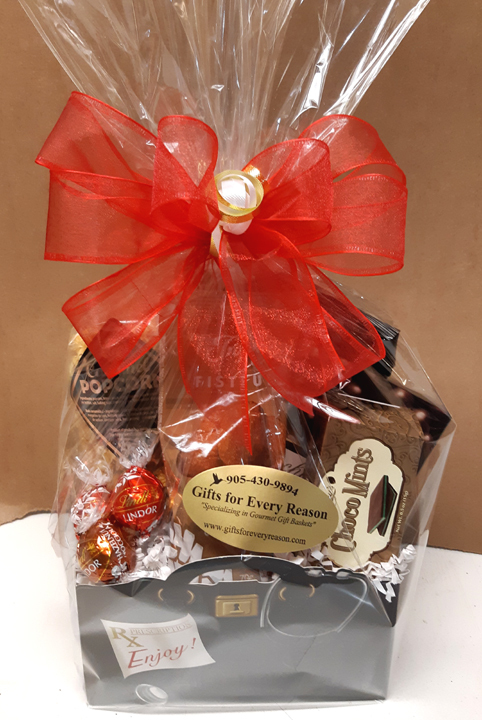 Wrapped in cellophane with elegant ribbons, hand crafted bow and a note card with your message. Sure to make anyone feel better!